Life in Frisco just got even sweeter! The Cookie Rack, Frisco’s newest bakery, is now open on the northeast corner of Stonebrook and Teel Pkwy. This delightful shop offers classes, private parties, community events, and, most importantly, absolutely phenomenal cookies! Let me start by saying I’m serious about cookies. I love cookies (especially cookies with frosting) more than any grown woman should. So, like a cookie connoisseur, I don’t throw around the adjective “phenomenal” lightly. But, in the case of The Cookie Rack, let me assure you, it’s 100% deserved. The Cookie Rack cookies are practically perfect in every way. They’re light but also decadent, with exactly the right combination of cookie and frosting (cookie lovers, you know what I’m talking about). The cookies themselves are soft and satisfying and the frosting is sweet, fluffy perfection. Plus, these cookies are really, really pretty, making them (almost) as fun to look at as they are to eat! The Cookie Rack offers 14 delicious cookies every day. Flavors include classic (old fashioned sugar, chocolate on chocolate), kid pleasers (oreo, cake batter, cookie dough) and sophisticated combinations (like salted caramel pretzel, raspberry lemon, and coconut samoa). 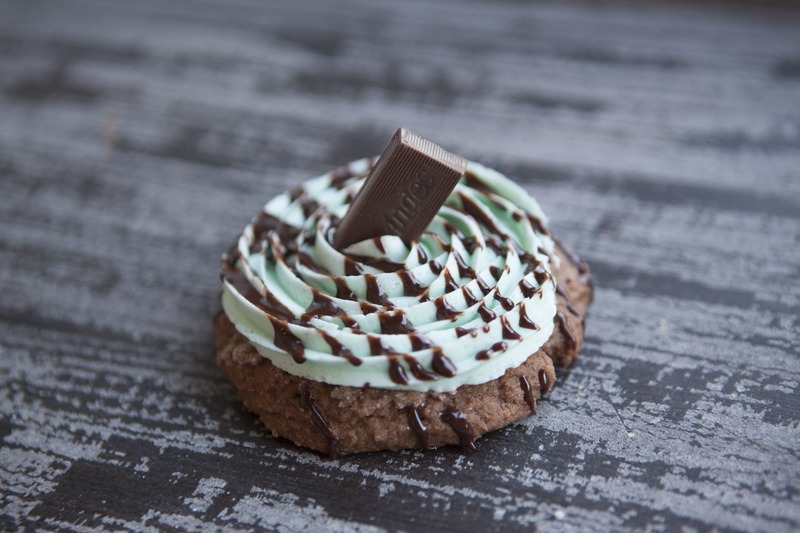 The bakery also has a cookie of the week, which includes unique specialties and seasonal flavors. The cookie menu is complemented by a variety of beverage choices, including fun, fizzy “mocktails” (gourmet sodas with syrup flavor mix-ins for a sweet, refreshing treat). The bakery is charming and inviting, with cozy seating and a bright, welcoming vibe. Whether you’re popping in for a quick pickup or staying awhile to enjoy cookies and conversation, a visit to The Cookie Rack is sure to brighten your day. In addition to the wonderful daily selection, The Cookie Rack offers gorgeous custom cookies, with fondant and printed logos (think monograms as well!). The images/designs are printed on edible paper with edible ink and can be customized with any design. Custom cookies are great for corporate logos, baby showers, holiday parties, and more. The Cookie Rack also offers fun holiday treats, like a heart-shaped box filled with mini cookies for Valentine’s Day. Valentine’s boxes can be delivered for a sweet surprise (hint, hint, husbands – forget flowers this year!). And if you want to get in on the fun of decorating yourself, you’ve come to the right bakery. The Cookie Rack offers “Cookie School” classes for adults, “Junior Cookie School” for children, and customized birthday parties. Cookie School classes teach royal icing decorating techniques and are fun for all ages and skill levels. Whether you’re an experienced baker or a first-timer, you’ll have fun and go home with some delicious cookies. Adult classes are “Sip and Decorate”, so you can bring your friends and favorite beverages for a guaranteed good time. 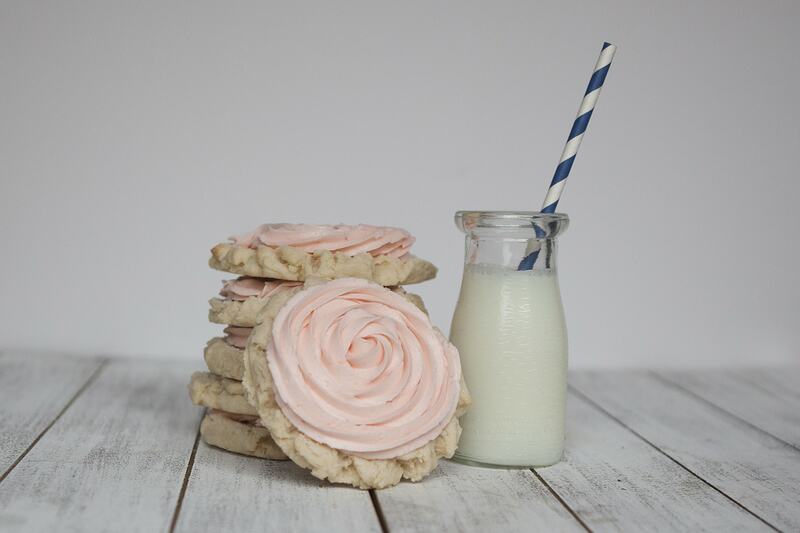 Kids aged 5-13 can enjoy Junior Cookie School (with a parent accompanying children under 10). I’ve always dreamed of opening a bakery. As a little girl, I loved to experiment in the kitchen and baking cookies became my specialty. But as she grew up and went to college, Christie notes the “impracticality of following this dream made it easy to put on the shelf”. Christie got married, became a mother, and found herself happily immersed in life. But as her children got older and were ready to leave home, she found herself “feeling a little frantic” about what she would do when her as her children left the nest. I started small, just baking from my home. Mostly, I was experimenting and giving away my cookies in exchange for feedback. As the feedback came in, and I began tweaking my recipes, I realized we had something pretty special. I started taking orders and found myself so busy that my home kitchen just could not keep up with the volume. We began looking for a commercial space. We opened our store and the reception by the community here in Frisco has been so fantastic. Christie says every cookie served in her bakery is made from the freshest ingredients and created with love (and lots of real butter). The Cookie Rack is a small, family-owned business and Christie strives to keep her focus on a quality product with personalized customer service. Cookies are her passion, and she’s happy to be able to share them with Frisco. Christie is also passionate about the importance of reading to young children and loves to encourage reading in her shop. She keeps dozens of storybooks available and customers can come in and read anytime. The Cookie Rack even offers special storytimes for children several times a month, with themes like superheroes, princesses, holiday characters, and more. These fun family events are free, but attendees do need to pre-register (follow the Cookie Rack on Facebook to learn more). Christie says it has been a lot of fun to connect and interact with the community in this way. Meredith grew up in North Texas and was thrilled to return to Frisco to raise her own children. She is a stay-at-home mom to two adorable toddlers. Meredith is an avid reader, a freelance writer, a terrible cook (although she’s trying to improve) and a youth sports mega fan. She loves trying good restaurants, watching bad television, and playing outside with her family. We’re sorry to hear that! Please feel free to reach out to the Cookie Rack directly with your feedback. Wishing you all the best! I tried the Cookie Rack and was not impressed at all. The cookies were dry; the frosting was dry. It crumbled into sugar pieces the second I took a bit. It basically tasted as if I ate a spoonful of sugar. I went with a couple of people from work and even bought more to take back to the office to try a variety of cookies. Without me stating my opinion, a lot of other woman at work said the same thing. Needless to say we will not be going back.